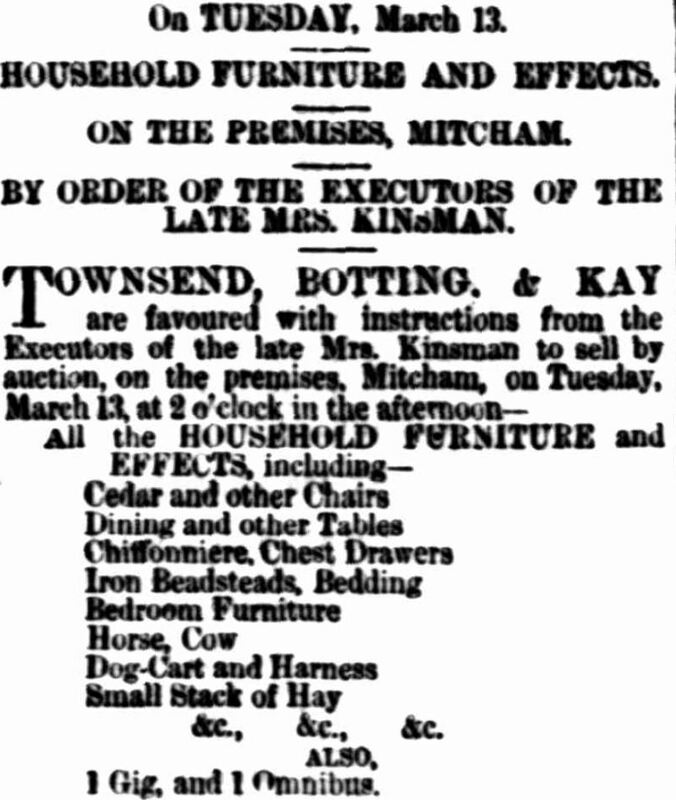 Poor Mrs Kinsman was thus left to fight her own way in life, mysteriously bereft of her husband. With the little money she had, she purchased some cows and sold milk and butter. 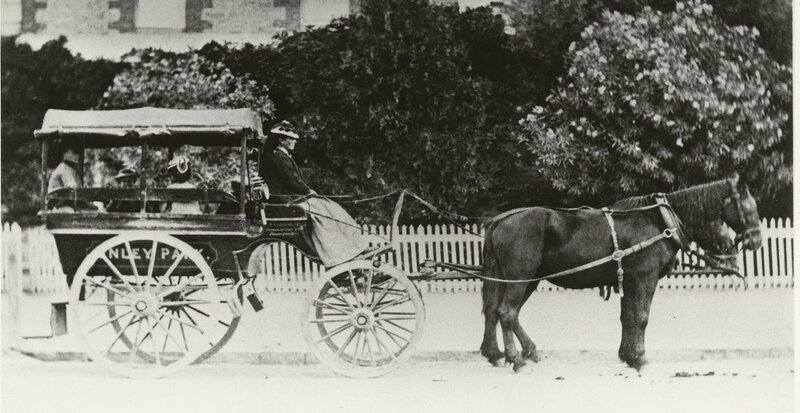 She realised that there was an opening for a passenger conveyance to the city so she bought a cart and drove it to town in the morning, returning in the evening. Later she obtained the mail contract in 1855. As the traffic increased she procured a bus and her son William drove it. Mr James of the Norfolk Arms, Rundle Street, kindly gave her the use of his stables and, despite competition from other buses, the people of Mitcham supported her venture. From The Rashleigh/Kinsman Story (St Keverne Local History Society), with much more information on the family.